Shell Lubricants officials say changes in engine design are making new motor oils and related tests necessary. The process has just begun to provide diesel engine builders with new classifications of motor oils to meet the needs of an emerging new generation of power plants designed to meet clean air standards. In addition, the new oils are going to be required to provide better fuel mileage, long engine life and do so at engine temperatures that are likely to be even higher than those found in today's Tier IVA models. OIL CHANGE: Dan Arcy, global OEM technical manager for Shell Lubricants says the process to establish a new heavy duty motor oil classification for diesel engines began earlier this month, and should yield new ratings and oils by January 2016. Speaking to a group of transportation and agricultural media representatives, Dan Arcy, Shell's Global OEM Technical Manager, says the process is likely to yield two separate oils for the so-called PC-11 requirements being sought by engine builders. One would be a motor oil similar to today's CJ-4 rated 15W40 lubricants but capable of providing better scuff and adhesion wear resistance, better anti-foaming characteristics and more shear stability for additives that provide multi-viscosity properties, he explains. "The other would be a so-called fuel saving oil, probably a 10W30 product that would be capable of providing all of the protection of current CJ-4 15W40 oils as well as the higher temperature protections for engines of the future," he said. Some engine builders say the engines of 2016 and beyond could operate at temperatures up to 18 degrees F. hotter than current designs. Arcy notes, each 10 degree F. increase in operating temperatures can cut additive life in half. More than likely the improved 15W40 product would be "backward compatible" -- meaning it could be used in engines rated for previous American Petroleum Institute ratings, Arcy explained. 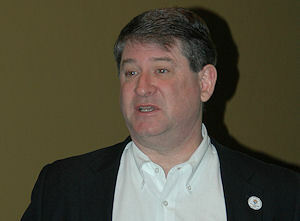 "The newer, lighter viscosity oils may not end up being backward compatible, or if they are, they may only be rated for engines from possibly 2007 forward," he added, noting the outcome will depend upon what the OEM community finally determines as the accepted engineering to be used to meet clean air, wear, multi-fuel and temperature requirements. "The process is just beginning and the variables include evolving engine designs from the OEMs involved, the need to establish new tests and test parameters for engine demands not known fully at this time," Arcy explains. "Still, the new engines will be required January 1, 2016, and we have to have lubricants rated for their use." Traditionally, developing new engine oil classifications and tests has been about a four-year process. The new PC-11 classification will have to be ready earlier than that.